A threadlike strand of DNA and associated proteins in the nucleus of eukaryotic cells, and the functional units of inheritance. A thread-like strand of DNA and associated proteins in the nucleus of eukaryotic cells, and the functional units of inheritance. As well as DNA, chromosomes contain other proteins which help to package the DNA and to assist it in replication and gene expression. The exact form of chromosomes varies among organisms. In humans, each cell normally contains 23 pairs of chromosomes. As well as DNA, chromosomes contain other proteins which help to package the DNA and to assist it in replication and gene expression. The exact form of chromosomes varies among organisms. 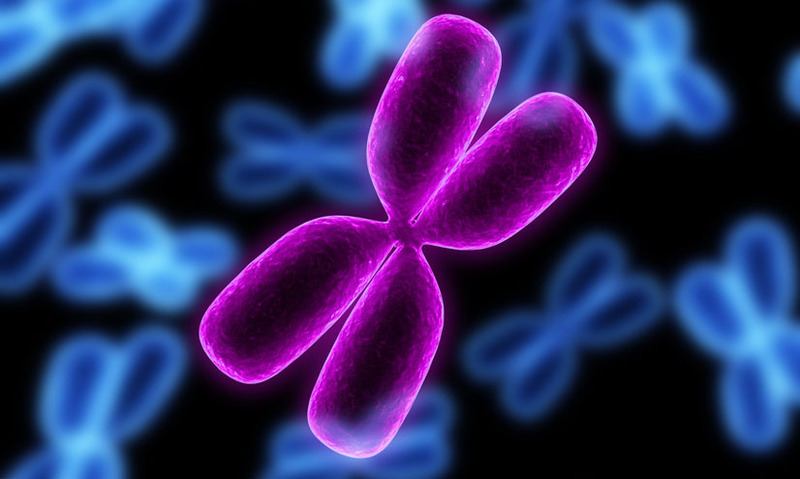 In humans, each cell normally contains 23 pairs of chromosomes.